The very backbone of cloud computing is that data is stored off-premise on a third party server and is accessed via a web connection. A lot of organizations have dragged their heels when it comes to moving to the cloud as they fear they won’t have control over their data. Cloud providers have major hosting centers with server farms that hold, compute, and replicate data for their customers. 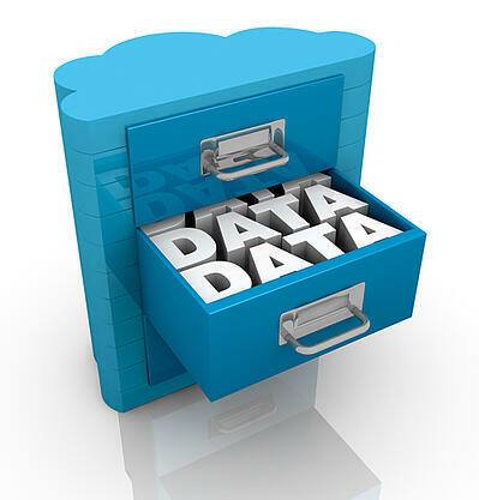 With some cloud providers, you don’t get to choose which server center your data is hosted in. Your business may be based in Massachusetts but your data might be stored and processed in a datacenter overseas. Amazon Web Services (AWS) knows that businesses what to have as much control over their data as possible, which is why they allow users to select regions and availability zones when setting up a compute instance or cloud storage on AWS. The regions are distinct geographic areas which contain multiple, isolated locations of data known as Availability Zones. AWS users can select different regions for storage and processing based on their specific needs. When you deploy and test applications in the cloud, you are often dealing with large amounts of data. We’re talking terabytes worth. If a company is based in California but their cloud computing Availability Zones are in the Northeastern region, they may experience some lag in loading, computing, and processing power. For this case scenario, businesses can make sure that the regions for their Availability Zones are closest to where the developers are working to improve efficiency and reduce lags in workflow. Businesses that have to make sure their data is stored according to industry regulation and compliance standards have the ability to choose where their data is hosted in the cloud, to adhere to strict guidelines. For example, some information may not be able to leave the country, so if a company is based in the United States, they can specifically only pick regions and Availability Zones in the US, to ensure that their data is stored in adherence to regulatory specifications. Knowing this, businesses can choose to have multiple Availability Zones across different geographic areas to ensure that even if one datacenter did experience an outage, that their information is replicated in a different geographic region to ensure that at least one instance is available at all times.